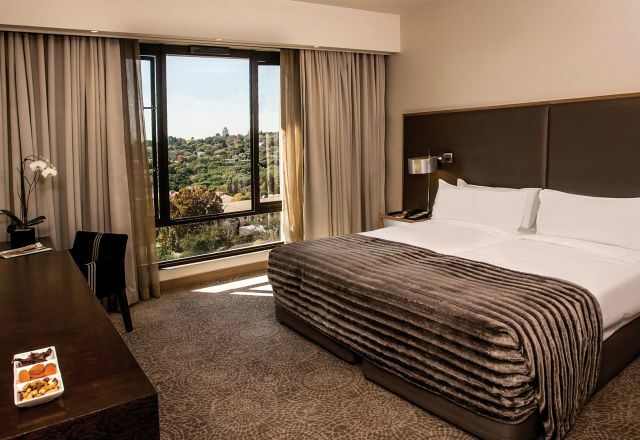 Southern Sun Hyde Park offers guests comfortable accommodation in Sandton characterised by style, relaxation, and elegance. Subtle touches add emphasis to our elegant accommodation, ensuring that guests enjoy superb amenities and outstanding service. The hotel’s 132 well-appointed en-suite rooms feature a number of amenities including iPod docks, DVD players, DStv, mini bars, and in-room tea and coffee facilities. Guests also enjoy the convenience of 18-hour room service, a porter service, and a wake-up call facility. 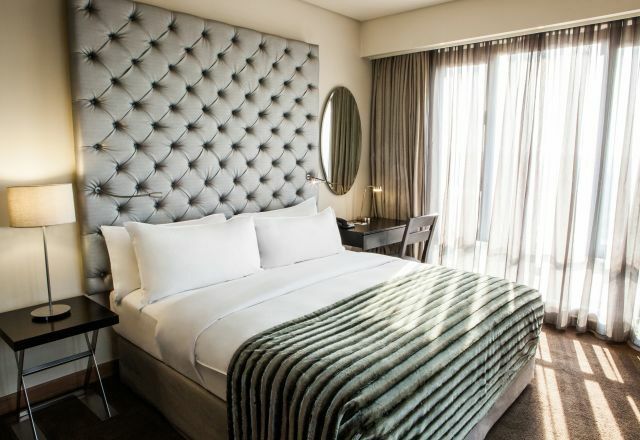 Modern, luxurious décor, combined with superb views of Hyde Park in Johannesburg’s leafy northern suburbs, enables visitors to truly relax in luxury and comfort. 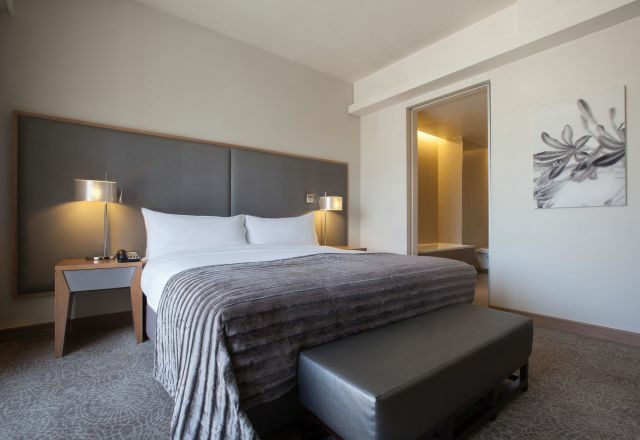 Guests are invited to choose from a selection of room configurations, including our elegant and luxurious Executive rooms. Smoking rooms and wheelchair accessible rooms are also available on request. 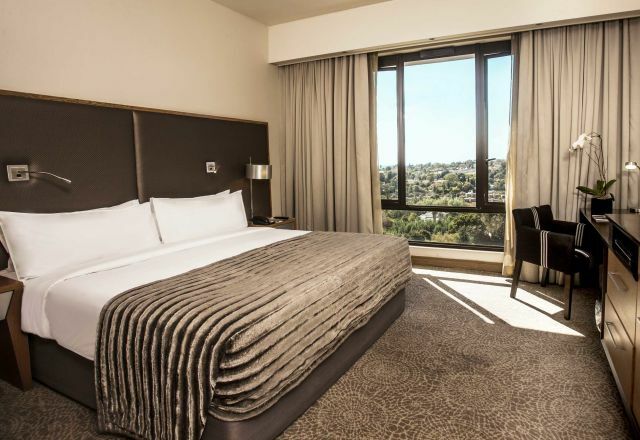 Our accommodation in Hyde Park, Sandton includes a choice of 60 very comfortable Standard rooms with en-suite bathrooms and separate showers. Superior rooms have an en-suite bathroom with separate shower, and boast pleasant views. Deluxe rooms at the Southern Sun Hyde Park, Sandton have en-suite bathroom with separate shower. 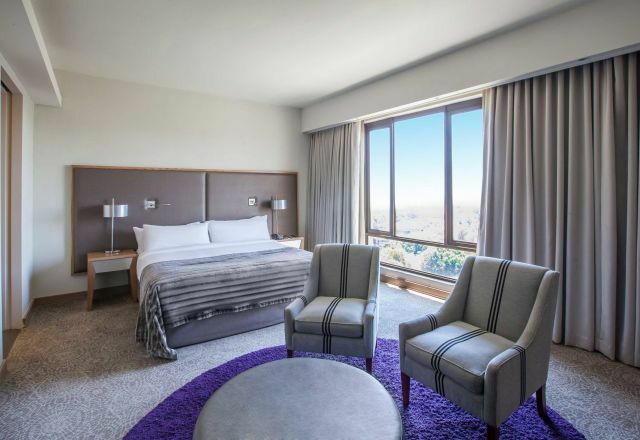 Our Sandton hotel’s Executive rooms have a lounge area and en-suite bathroom with separate shower. The suites feature an attractive lounge and dining area, guest bathroom and en-suite bathroom with separate shower as well as his and hers basin.